Here at Tradhunter.com we want to make it our mission to provide people who love Traditional Archery, Traditional Bows, Equipment, and Traditional Bow Hunting, a great place to gather. We want to have the best Traditional Bow Hunting Community out there. On the grand scale of the hunting industry, we are a select few. Traditional Bow Hunting is away of life for some of us and Traditional Archery is our passion. So come on in and gather around the old campfire and have some fun! Show us your Custom Longbow or your Custom Recurve that your so proud of. Tell us your favorite Traditional Bow Hunting story. 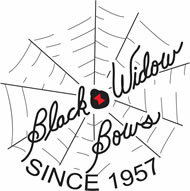 Intrigue us with your passion for Traditional Archery. Lets make this a Traditional Archery Community like no other.